Our beds have been custom designed, locally made using bush logs. You are surely going to have a good night sleep. And with the African rustic furniture, mosquito nets, clothes rack, carpet and writing desk, it’ll be a home away from home. All tents have a flush toilet, shower, and wash basin. You can enjoy your shower as you like a bubbling hot or refreshing cold. Kibo safari camp is a luxury tented camp based in Amboseli National Park, set at the foot of Mount Kilimanjaro, the highest mountain in Africa standing at 5896 metres. It is situated 140 kilometers south of Nairobi, Amboseli National Park is the second most popular National park in Kenya. The Camp has 73 self contained spacious tents sheltered by ‘makuti’ roofs built to accommodate as per the clients needs and preference. 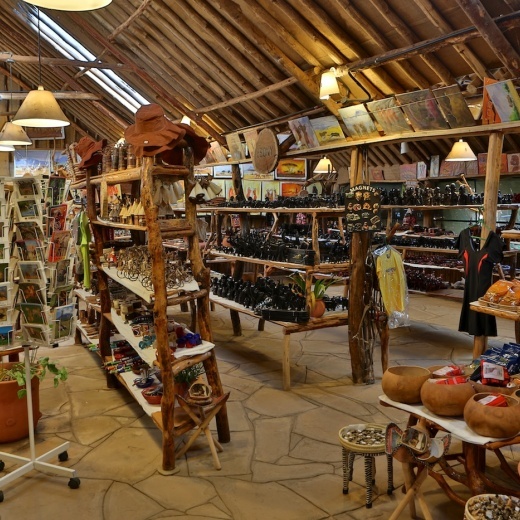 The comfortable beds and furniture are locally made tastefully with bush logs and the tents decorated with African rustic furniture. In addition, the tents have mosquito nets, clothes rack, carpet, seat and writing desk. All the rooms are en-suite with a flush toilet and hot and cold shower. Each tent has a washing basin/sink with cold and hot tap water. For the newly weds Kibo Safari Camp offers you a special package tailor made for your unforgettable experience. 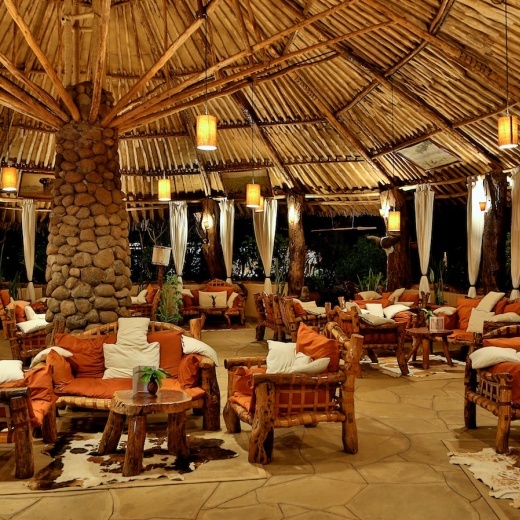 Dine in the open terraced restaurant set under acacia trees overlooking the majestic Mt. Kilimanjaro. The camp chef will pamper you with fine cuisines for all tastes and special meal requirements are met on request i.e. vegetarian, non-vegetarian or special meals for the sick. Fruits & vegetables are served fresh as they are picked from the camp’s very own farm. Enjoy a cold or warm drink in the open terraced bar which serves a special house cocktail or a wide collection of wines, spirits, soft drinks, juices, brandies or beers. Holiday travelling round Kenya. I give Kibo a 5 + + + ; it being excellent and the best value stay we have had in many years of travel. This place has wonderful staff, accommodation, food, position. Places of interest much recommended. The only bad part was that we could not stay for much longer. It is an ideal resort close to park gate. The manager has trained his staff really well and the design of accommodation each set in the Bush was great. We did not go to a manicured garden but felt very much as if we were staying in the Bush. Everything was thought of even solar powered lamps to guide you if you were outside after dark. The tented rooms which we were in were enormous with a very well set out bathroom; modern but with an African theme. Bed was so comfy. Pool was wonderful with amazing view of Kilimanjaro. I would recommend at least three days stay one for the game drives and one day to relax and enjoy being pampered and extremely well fed. Absolutely wonderful place to stay. Could not think of one negative. None of is wanted to leave. Great accomodation! More than met our expectations. Very beautiful architecture and surroundings. Only complaints are the price of drinks, especially soda's, at a hefty expense, plus when we enqired about night drives with reception they never called us back about it, even though they said they'd look into it. Also, the loud noise around the tents from other people at 11.30pm at night was quite disturbing to our sleep. Otherwise, overall a very enjoyable stay for 4 girls on a girls weekend safari trip ;) Thank you. A FEW SERIOUS ISSUES- NO HOT WATER ON DAY 1. No shampoo in bathroom. food is poor particularly the dessert. Staff response is poor from most of staff. Knowledge of very poisonous snakes absolutely unacceptable- no snake bite kit. Mattresses too hard and pillows meant for uncomfortable sleep. Just not worth the cost charged. electricity just cuts off at 10h30- not acceptable- almost childlike dismissal of guests- I will not go back!! I had a party of 6 persons!